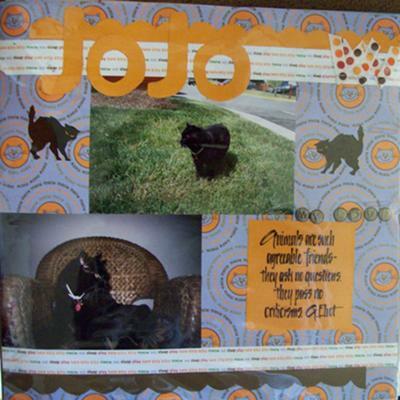 JoJo was our cat for 15 years. He passed away at the riped old age of 17. I thought it was time to do a scrapbook page on him. He was one of my favorite pets. It was done from a kit.